Hubble Space Telescope Returns, or Dad Up To His Old Tricks. 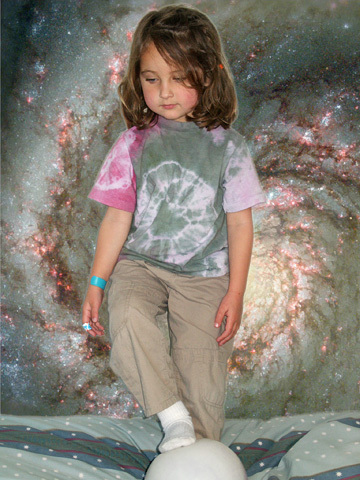 Juliana and the Whirlpool Galaxy (aka M51) take on Minolta and Wide Field Planetary Camera 2 in a game of Powerful Kickball. 1/13/02. 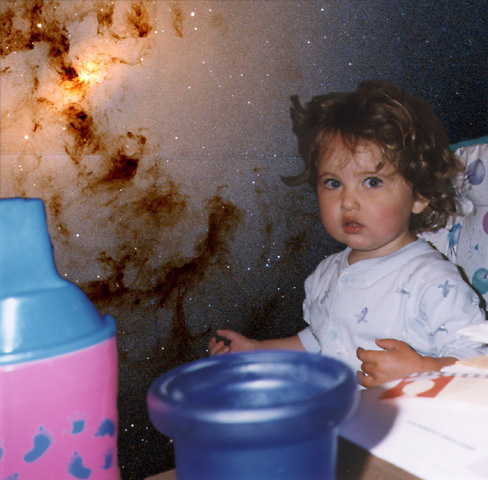 All I wanted was a bowl of Cheerios, and now here I am stuck in some stupid galaxy again. 4/23/99. 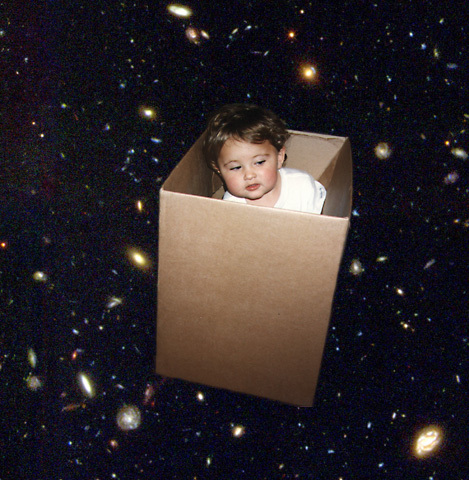 Gazing through a tunnel to a distance of 12 billion light years, Hubble sees...JRae traveling through space in a cardboard box. 11/24/98. 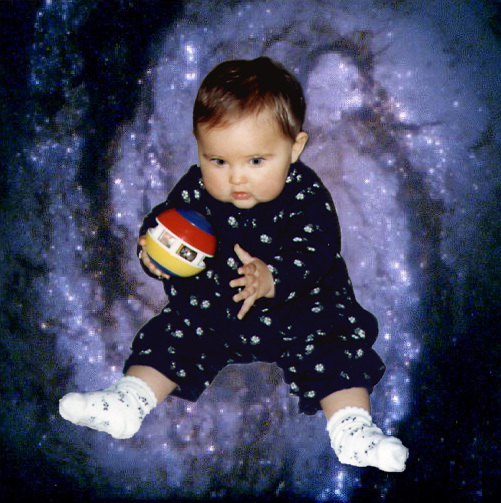 Juliana uses her magic orb to control the spinning of Spiral Galaxy M100, one of the brightest members of the Virgo Cluster of galaxies. Acknowledgements to Hubble Wide Field Planetary Camera 2. 2/22/98. 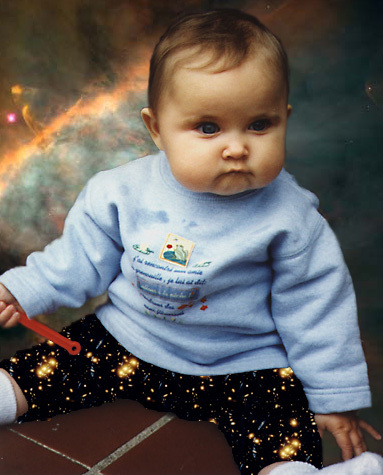 Greetings from the stoop in the Orion Nebula, courtesy of Hubble. Juliana's sweatpants by Galaxy Cluster 0024+1754. 11/10/97. Juliana has begun with simple foods, but she's just warming up. 11/10/97. 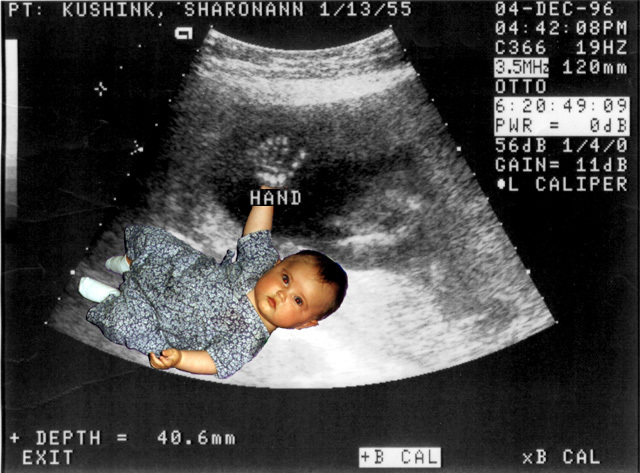 an unusual sonogram. 12/4/96 and 9/11/97. 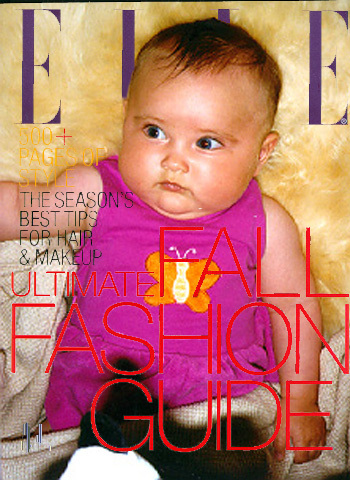 Juliana's first magazine cover, Baby Elle. August 30, 1997. 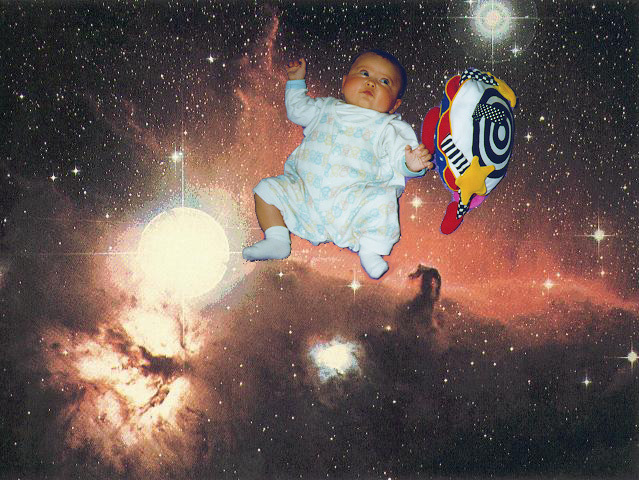 Juliana Rae and Whoozit visit the Horsehead Nebula. Everybody's favorite. 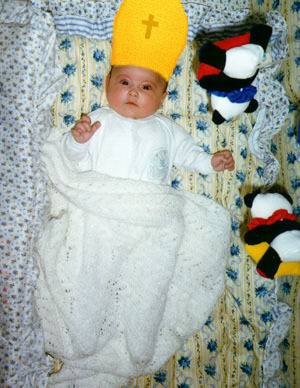 JRae as the Pope.